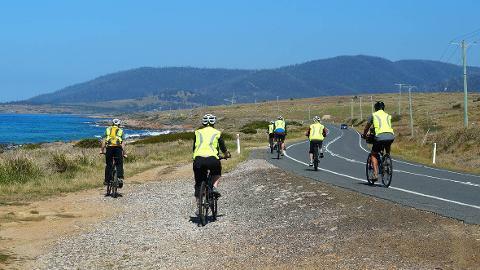 Selected as one of National Geographic Traveler magazines '50 Tours of a Lifetime', this complete active adventure on the East Coast of Tasmania traverses all the great must see highlights between Launceston and Hobart. Over six days you will make the most of this adventure playground with a combination of cycling, walking & paddling. 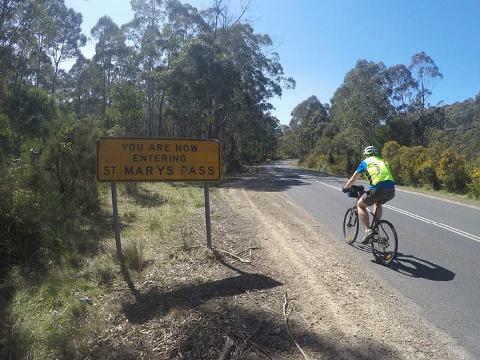 You begin by cycling through quaint villages and rural settings, breathe in the scents of rainforests overhead and be awed by the beauty of the eastern coastline - in particular Wineglass Bay & Maria Island. 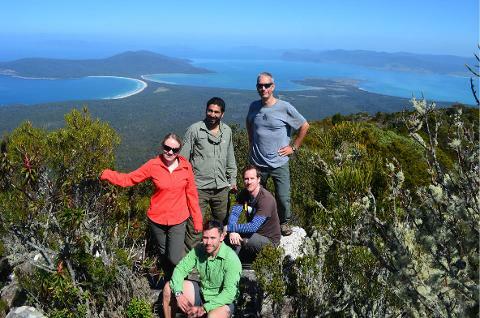 We enjoy great kayaking near Freycinet and move on to stunning walks at Maria Island. An exhilarating cycle descent of Mount Wellington in to Hobart is the fitting conclusion to this fun filled trip. 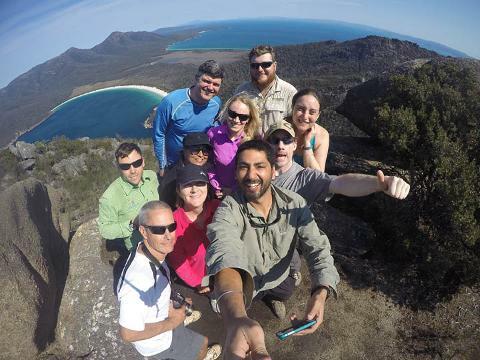 This tour will cater to a wide range of experience and fitness levels and the constant presence and support of professional guides provides you with the option of completing as many or as few kilometres as you please. 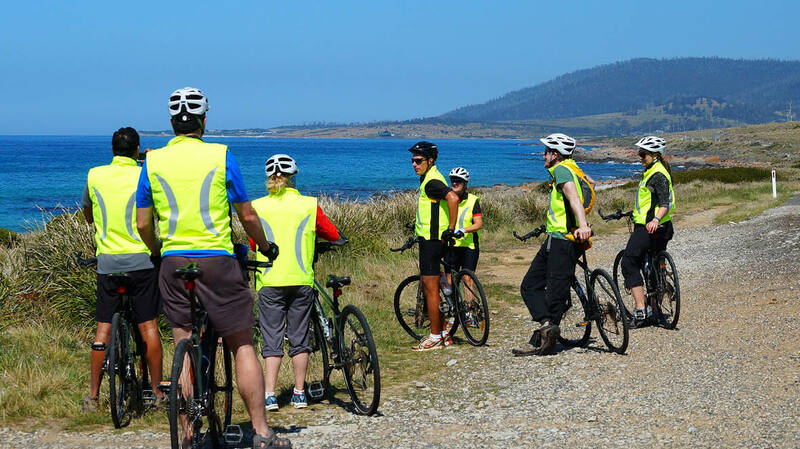 Join us on this active & thoroughly rewarding tour of Tasmania. Today you will be picked up from your accommodation before 8.30am (you will be called the day before to confirm the time) and transferred to a pre-departure briefing. Your guides will present a general overview of the trip, conduct a gear check and provide the opportunity to hire/borrow any equipment/clothing that you may need. After setting up your bike we enjoy wonderful cycling opportunities up the Fingal Valley & through the Eucalypt forests of the North East. The highlight is an exhilarating ride down St Mary’s Pass to the east coast with its dazzling aqua blue water and pure white sandy beaches. An alternative could also be the Elephants Pass. We spend the afternoon cycling south along the coastline, with a possible stop at the Ironhouse Brewery, to the seaside fishing town of Bicheno. 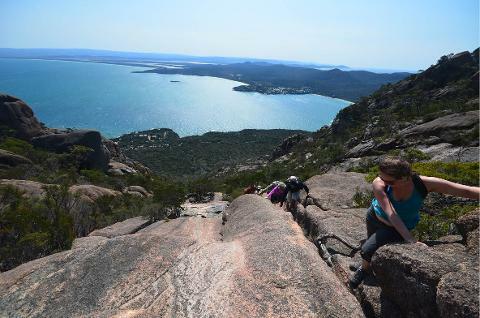 Today’s destination is the Freycinet National Park. We will drive approximately 30 minutes into the tourist hub of Coles Bay, a fast growing seaside town in a spectacular setting. 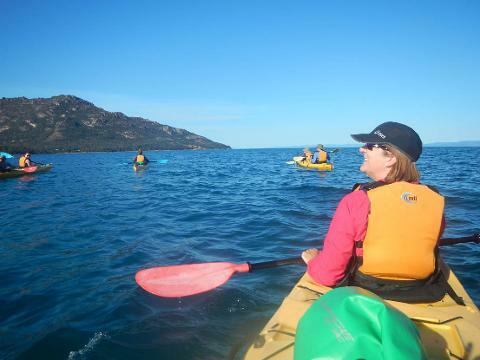 Here we will commence our half day sea-kayaking activity with Freycinet Adventures. 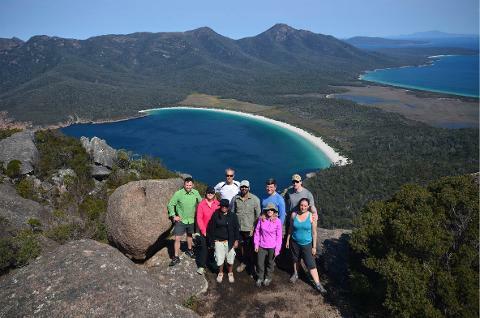 After lunch, with our walking shoes on, we will walk to the Wineglass Bay Lookout where we will be spoilt with amazing views of the beach below and the pink granite rocks of The Hazards Mountain Range nearby. Continuing on down to the beach is optional for the group – perhaps a great opportunity for a refreshing swim! At the end of our day in the National Park we will return by vehicle (or bike) to Bicheno. 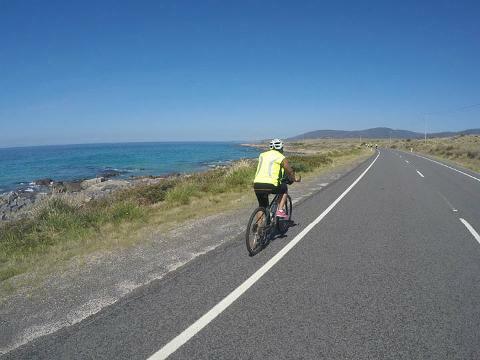 This morning we continue our ride south enjoying the spectacular scenery of Tasmania’s coastline and our first glimpse of Maria Island National Park. 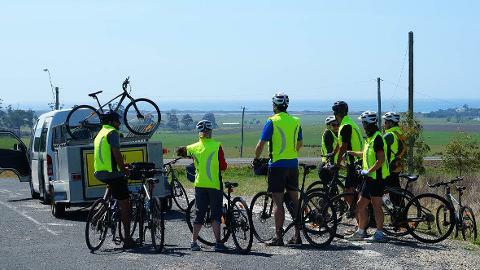 We will enjoy morning tea and some free time to explore at Swansea before cycling to Mayfield Beach for lunch. Your support vehicle will always be at the back of the group and you can join it if you wish to cut your ride short. We finish today’s ride at our accommodation in the forested location of Swanport. Today we catch a ferry to secluded Maria Island National Park. Over the next two days we spend our time exploring Maria Island, taking in its vast history and the natural wonders scattered all over the island on foot. We will see the famous Painted Cliffs, unusual sandstone formations with magnificent patterns exposed by the relentless ocean and caused by iron oxides leaching into the sedimentary rock. We will visit the Fossil Cliffs rich with the imprints of lifeforms from millions of years ago. The fascinating history of the island is as diverse and substantial as its wildlife. This industrial history includes everything from vineyards to cement works but the most interesting is the convict history. There are many ruins from penal days including cell blocks, commandant’s cottages and windmill sites. Today we have the opportunity to undertake one of the islands most famous walks to the summit of Bishop and Clerk (620m). The view from this peak is incomparable as you gaze across the expanse of the island and out over the Tasman Sea. The afternoon we can choose to do the reservoir circuit walk through open woodlands and tall eucalypt forests and watch for the islands plentiful bird and wildlife. Today we leave Maria Island on the morning ferry. We rejoin our vehicle and head to Hobart. On arrival, we will drive to the 1270 meter summit of Mt Wellington where you will be provided with fantastic views of the lower Derwent River system, Hobart and its surrounds. After lunch we enjoy an exhilarating ride down the mountain into Hobart where your trip will conclude at the Old Cascade Brewery - the oldest continually operating brewery in Australia. Your guides will drop you off at your accommodation (arranged by you) in Hobart at approximately 4pm.